The Caribbean is one of the world’s greatest yacht cruising grounds. With its archipelagos of emerald islands, fringed by powder-soft sand and turquoise seas, the Caribbean promises a stunning yachting experience – whether you’re diving on wrecks and reefs, dining on gourmet dishes by the moonlit sea, blissing out in a beach hammock or floating in a deep lagoon pool under a waterfall. To cruise through the Caribbean on your very own luxury yacht offers the ultimate way to explore this tropical paradise. And, while owning a luxury yacht in the Caribbean was once only the preserve of the very lucky few, yacht share solutions have now opened up the market like never before, creating affordable yacht ownership options in the Caribbean. So if you owned a luxury yacht share in the Caribbean, where would you want to go? There are over 7,000 islands in the Caribbean, so you could easily spend a happy lifetime leisurely exploring them all onboard your Caribbean yacht. So the question is, where to go first? Each island has its own personality and appeal, from the French-Caribbean glamour of St Barts, to the lush volcanic beauty of St Lucia. The Caribbean is split geographically into two major island chains: the Leeward Islands and the Windward Islands. The perfect yachting destination for you and your group will depend on your individual tastes. But here are some of the Caribbean’s best yachting destinations for your consideration. 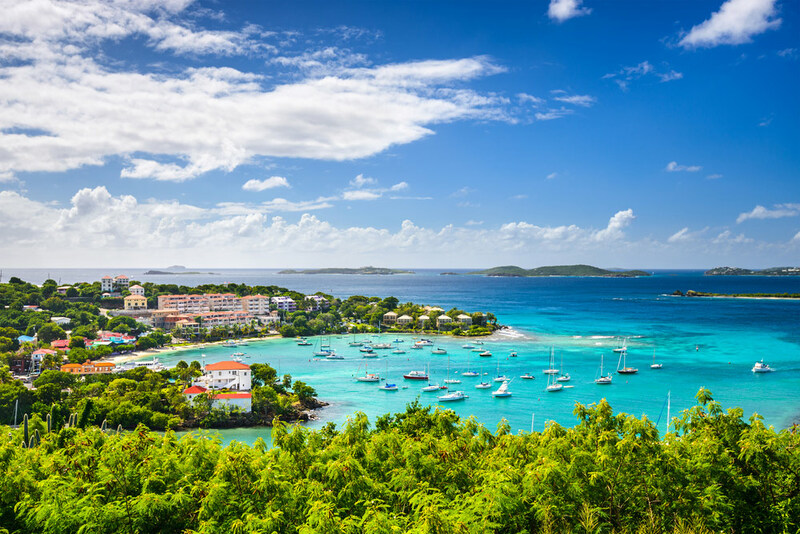 With verdant rainforests sloping down to sugar white beaches, and turquoise waters concealing coral reefs and shipwrecks, the BVIs are an astonishingly popular yachting option. Highlights include the magnificent Virgin Gorda Baths, where giant boulders create the ultimate rockpools, Anegada’s pretty pink sands and Horseshoe Reef, and the submerged shipwreck of the Rhone, rated as one of the world’s top five wreck dives. The archipelago’s excellent yacht marinas, spa hotels, fine dining and famously good-natured beach bars only add to the appeal. As does the proximity of the islands to each other, making for superbly protected cruising. For those families with a Caribbean yacht share, it is hard to beat the BVI’s as a yachting destination suited to all ages. A little to the south lies another luxury yachting mecca. 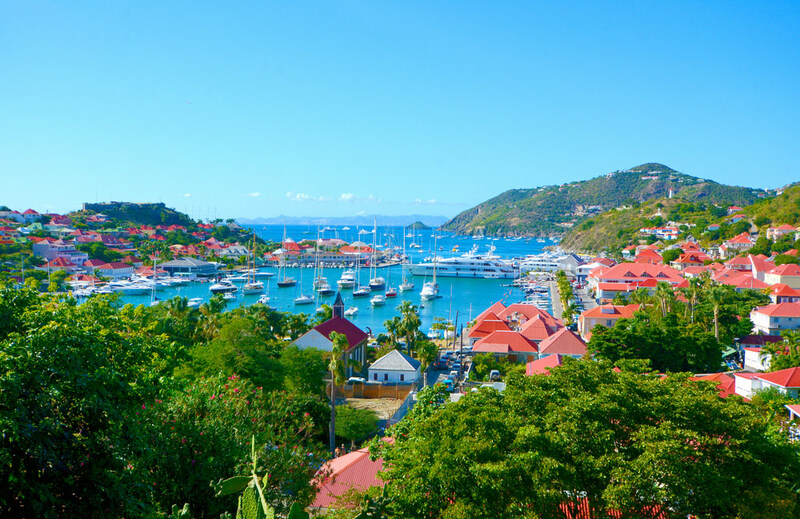 St Barts is synonymous with chic celebrity glamour – its pretty St Gustavia port a haven of luxury boutiques and French restaurants among the bougainvillea and cobblestones. From St Barts, luxury yachts are in easy reach of other magnificent islands, such as Anguilla, where sapphire waters lap at film-shoot-worthy beaches lined with coconut palms, and the jetset relax at driftwood beach bars. St Kitts and Nevis provides yet another yachting hotspot in the region. Here monkeys cavort in the cool cloud forest and plantation hotels overlook colonial forts and sparkling seas. St Martin draws visitors with its huge superyacht marinas, great shopping, and the enchanting French enclave of Marigot. While laid-back Antigua cannot fail to charm with its 365 beaches, incredible sailing, and rich colonial history, as well as the idyllic beaches of its twin island, Barbuda. In the Windward Isles, jungle-covered volcanoes slope down to emerald green seas, and pretty French villages verge on beaches, where brightly painted fishing boats are pulled up under the coconut palms. St Lucia is simply breathtaking – its twin Piton peaks looming over picture-perfect beaches. Martinique beckons with its French pavement cafes under the smouldering volcano. In Dominica, whales frolic just off the beaches and hot springs bubble in the mountainous interior. French Guadeloupe, not to be outdone, lets you escape to 12 islands filled with virtually undisturbed beaches and lush rainforests. As you move south into St Vincent and the Grenadines, you’ll discover a nearly untouched paradise of mountainous islands, spice plantations and silky sand beaches. You can also discover the stunning diving and low-key glamour of exclusive Mustique. Owning a yacht in the Caribbean is one of life’s greatest pleasures. A yacht share makes the dream of affordable yacht ownership in the Caribbean a reality.